Sometimes you feel fortunate to meet certain people, or be a part of conversations that lend different perspectives and allow you to grow. I’ll always remember a conversation with Gautam Chikermane, a former editor, who suggested reading One Up On Wall Street by Peter Lynch. The book was published in 1999 but was relevant even eight years later in 2007, and is largely to the point even now. Before reading it, I was fascinated by the ticker on business channels, but had never invested a penny in stock markets. This book, arguably, launched my adventures into the world of savings and investment and has been guiding my decisions ever since. 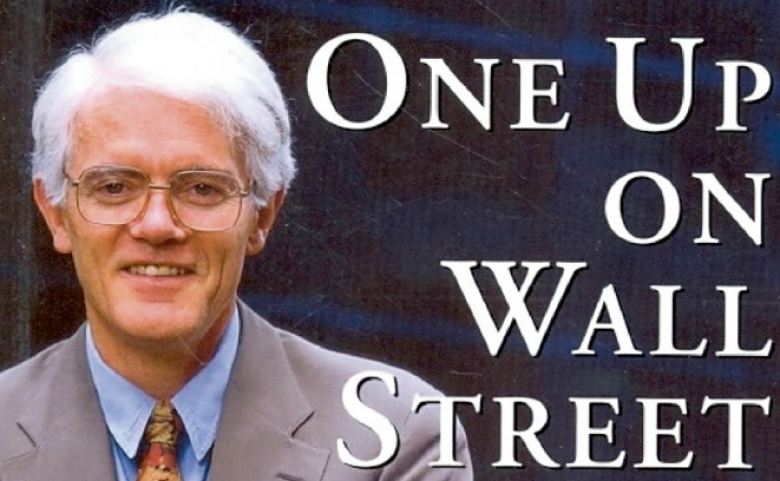 Written by Peter Lynch, one of the most successful money managers in the United States, the book simplifies some of the basic money management and investing concepts. It allows you to look beyond the obvious, and identify opportunities all around you. Nike shoes, for instance, may be a part of many wardrobes but are not viewed as an investment opportunity. It is a company that is loved by people globally and has been at the helm for decades, so buying its stock is a good way to be a part of its growth story. But how many of us think like that? Companies such as Pizza Hut, Debenhams, Google, Apple can be good investment opportunities, too. Even cold drinks companies such as Pepsi or Coke for that matter. But these are just examples, not suggestions. Lynch aptly points out investment opportunities that always surround us: from the supermarket to the workplace, products we use, places we visit. By paying attention to the best ones, we can find companies in which to invest before anyone else and build wealth. His relaxed, jargon-averse writing is easy to follow. It proves that you need not be a math genius or a stock market scientist to figure out investment strategies. What really got me started were these words: stop listening to professionals! “Twenty years in this business convinces me that any normal person using the customary three per cent of the brain can pick stocks just as well, if not better than the average Wall Street expert,” writes Lynch. The advice has been duly followed all these years. So much so, that even Lynch’s advice was taken with a pinch of salt. He advises investing in a house before dabbling in stocks. Why? That’s because houses are most likely to be profitable when they are held for a longer period of time. He suggests buying a small house (a starter house), then making a customary progression to a medium-sized one, and then a larger house that eventually you won’t need. After the children have moved away (that’s in case you plan to have a family), then you can sell the big house and revert to a smaller house, making a sizeable profit in transition and creating extra liquidity for your sunset years. The piece of advice coincides with that of my parents and people of that generation as well, who favour having a shelter of one’s own rather than living in rented accommodation, especially when a city is home for more than five years. Incidentally, some of what Lynch says about real estate investments has been proven wrong, more so in the aftermath of the subprime crisis in the US. But there are points that still hold true. Being a part of the millennial generation that is often accused of engaging more in snapchat like apps and obsessing over avocado and toast for breakfast, my husband and I followed Lynch’s advice and invested in a house of our own to secure financial independence. That was after making profits in stock markets and other investments, not before as Lynch suggests. Many people cringe at investing or reading business literature, thinking they do not have the aptitude for such things. But the fact is, business writing such as Lynch’s book makes concepts easy to understand. Money management skills are valuable as they allow you to make the most of opportunities. Lynch’s advice, and that of famous business writers, is simple and straightforward: Information, common sense and instincts guide you well. There’s never a good time or a bad time to start investing, but there’s always a fair or inflated price that you pay for your purchase. Just don’t buy the highest-priced property on the block and you should be fine. Everyday experiences, in fact, can often guide you well on investing decisions. I have learnt to spot companies that make for good investments, not solely by frantically calculating ratios or EPS, but by understanding their lines of business well. If a business seems to be doing great but doesn’t have good products or services, you know it is better to avoid it even if its stock prices are ruling the charts. It is bound to fail. I would have been closer to my retirement goal had I read this book in my teens, probably. I am not sure yet if I would be able to buy that house by the sea and retire in style as I imagine, but I am enjoying the journey, getting my daily/ monthly dose of highs and lows following the crests and troughs of the markets. And I secretly hope that my neighbour one day writes a book, let’s call it: The Millionaire Next Door. We all can wish, and dream as much as we want, and thankfully there are books to give us company and stoke our imagination.